Do you think Mo Salah potential was undermined in his former clubs or he was miss-manage by coaches. Qualifies his country (Egypt) for World Cup. Mohamed Salah Ghaly is an Egyptian professional footballer who plays for English football club Liverpool and the Egyptian national team. 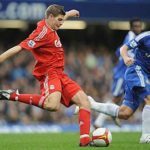 He started his senior career with hometown club El Mokawloon in the Egyptian Premier League in 2010, departing shortly thereafter to join Basel for an undisclosed fee. Salah’s performances then attracted Premier League side Chelsea, and subsequently signed for the team for a £11 million fee in 2014 before he departed on a loan to Serie A clubs Fiorentina and Roma, with the latter eventually signing him permanently for €15 million. Following consistent match-winning performances in Rome which lead them to second-placed finish and a record points-tally in 2017, Salah relocated back to the Premier League to sign for Liverpool for a then club-record fee of £36.9 million. Salah top Premier League goal scorers ahead of Kane. Do you think Salah will finish as the top goal scorer in the English top flight beating Kane this season? 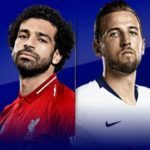 As the 2017-18 Premier League Golden Boot is well and truly on, with Harry Kane and Mohamed Salah leading the way, closely followed by Sergio Aguero. Considering Salah great impact in Liverpool and some speculation that he might join Real Madrid soon, do you think Klopp would be fine with that? In his reaction to that, Klopp insisted that the club would not even entertain the idea of letting their prize asset leave Anfield. Considering Jurgen Klopp recent praise on his record-breaking of his 40th goal of the season against Bournemouth. “It’s not a situation I would even think about it,” he said. “Around nine months ago he came in to make the next step in his career – and he did it. To come to Liverpool, he had different options and he wanted to come here. If we now always start talking after a year and is it ‘will he leave?’ or whatever then I don’t think about. Salah further insisted that he remains happy at Anfield amid rumours linking with him a big-money move to Real Madrid. Considering the outcome of the match between Roma, Montpellier striker Giovanni said he is delighted for former teammate Mohamed Salah over his success with Liverpool and wish him the very best to be a Ballon d’Or . Will Salah win the Ballon d’Or? Is Mohamed Salah able to continue like this every year? What would Salah do to Stoke City this weekend? Send it your predictions and comment below to stand a chance of winning airtime of your choice. 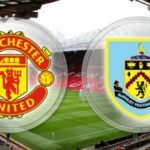 You can also predict and win for other matches to be played. 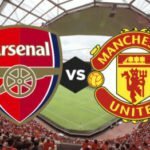 Predict five (5) matches correctly with the score line among the ten listed matches and you can stand a chance of winning recharge card worth N2, 000 of your choice. 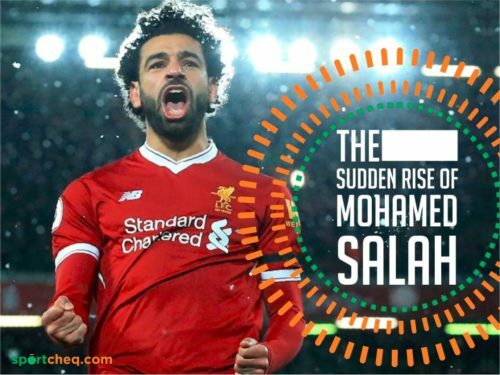 This is sponsored and powered by Baynet Fuse Limited our digital and media partner.“The Sudden Rise of Mohamed Salah”, 5 out of 5 based on 1 ratings. But I need music news….